Ukrainian pilot and Member of Parliament Nadia Savchenko, who has been freed from Russian captivity, has told Russians not to be scared and to get off the knees, according to an UNIAN correspondent. "Let me tell you…[Let me] first send my regards to Russians and call on them not to be scared, as there is nothing to be scared of. It time to get off the knees. I'm well aware that it is not a country where it is easy to get off the knees, but if they want to live in peace, like we do, they will have to stand upright. 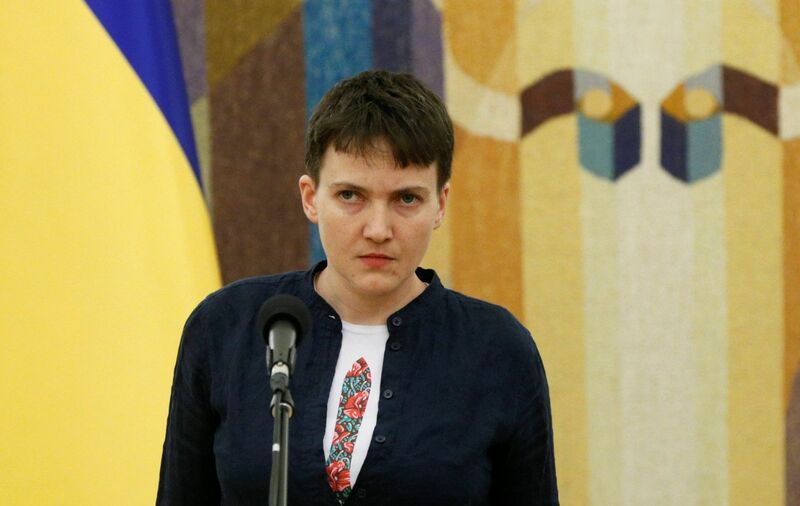 And our task is not to allow them [Russian soldiers] to come here," Savchenko said at a joint press conference with Ukrainian President Petro Poroshenko in Kyiv on Wednesday, May 25. Savchenko said she would work so that every captive Ukrainian could return home alive and Ukraine could be strong. As UNIAN reported earlier, on March 22, 2016, a Russian court sentenced Savchenko to 22 years in prison for the alleged murder of Russian journalists who were illegally staying in the east of Ukraine – Russia's VGTRK Media Group journalists Igor Kornelyuk and Anton Voloshin. Savchenko was also charged for illegally crossing the Russian border. She was swapped for two Russian GRU special forces officers Yevgeny Yerofeyev and Alexander Alexandrov, who flew to Moscow on the same day when Savchenko returned home on May 25, 2016. Read alsoPutin "pardons" SavchenkoSavchenko was pardoned by Russian President Vladimir Putin, while Yerofeyev and Alexandrov were granted clemency by Ukrainian President Petro Poroshenko.